The Washington State Parks and Recreation Commission is inviting the public to participate in a geocache about the history of Cama Beach State Park on Camano Island. LeRoy's Park multi-cache provides interpretation of historical events that took place in the area that is now Cama Beach State Park. Participants will search for the four-part multi-cache, with the first three caches leading to the final cache location. The geocache includes interpretation of the 1905 logging camp and 1934 fishing resort relics that are still found in the park today. Cama Beach State Park is located at 1880 S.W. Camano Drive, Camano Island. Geocaching is an outdoor scavenger hunt that uses Global Positioning Satellite (GPS)-enabled devices to locate hidden containers, called geocaches. A geocache is placed at a set of defined coordinates, called a waypoint, which is a physical location participants can locate using GPS navigation technology on a smart phone or other capable device. Geocaching combines modern navigation technology with the outdoors for a family-friendly game for all ages. For details on the LeRoy's Park multi-cache, visit www.geocaching.com and enter the describing number GC3BGCQ. To establish a geocache in a state park, written permission from State Parks is required prior to placement. For rules about placing geocaches in state parks, please visit http://www.parks.wa.gov/activities. Participating in an established geocache does not require written permission. Geocaching opportunities are available in state parks across Washington. Cama Beach State Park is a 433-acre historic fishing resort with more than 6,000 feet of rocky beach. The park provides sweeping views of Saratoga Passage, Whidbey Island and the Olympic Mountain Range. The area now known as Cama Beach State Park was used for centuries by Native Americans for fishing and hunting. It was later developed into a fishing resort, popular with families for more than 50 years. 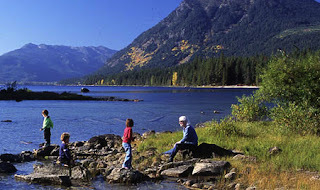 Four more "free admission" days remain at Washington State Parks in 2012. 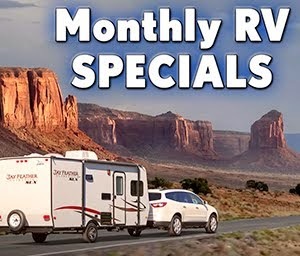 Most coincide with free days offered by the National Park Service. The “free days” are in keeping with legislation that created the Discover Pass, a $30 annual or $10 one-day permit required on state-managed recreation lands managed by Washington State Parks, the Washington Department of Fish and Wildlife and the Department of Natural Resources. The Discover Pass legislation provided that State Parks could designate up to 12 “free days” when the pass would not be required to visit state parks. The free days only apply at state parks. A Discover Pass will still be required to access DFW and DNR lands. Washington State Parks is on Twitter at WaStatePks_NEWS and YouTube at WashingtonStateParks. The May 18, 1980 Mount Saint Helens volcanic eruption blew the top off the mountain -- and blew away a popular Washington State campground. Harry Gardener Park, an 80-acre park vanished under three feet of mud and debris. Now Cowlitz County officials want to resurrect the campground portion of the park and encourage more visitation to the nearby mountain. The county says the "new" park will be a bit smaller than it was before, with 11 RV sites, 12 for tenters, and a dump station, as the RV sites will be partial utility sites. Work on the new/old park will get underway in just a few weeks, and the park could open as early as June--a few weeks after the volcano's anniversary date. The park is already operational as a 17 acre day-use park. You'll find it on the south fork of the Toutle River off Fiest Road in Castle Rock. The park has walking trails, roads, picnic tables, benches, fire pits, barbecues, play area with swings, horseshoe pits and beach volley ball.